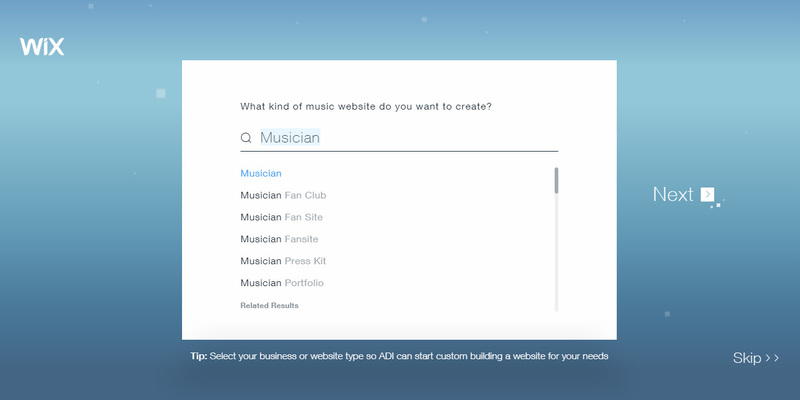 If you’re a musician or band thinking about building your own website but aren’t sure which “website builder” to use, then this post will help you decide. 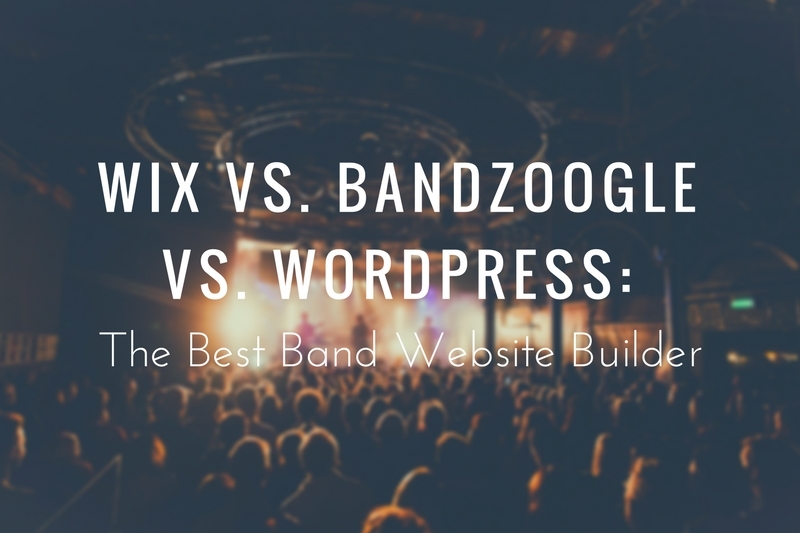 Here, I will compare three top platforms for creating a band website: Wix, Bandzoogle, and WordPress. Each has their own pros and cons in terms of price, flexibility, ease of use, and customization. I have personally used all three and I want to help guide you in choosing the right one for your website. 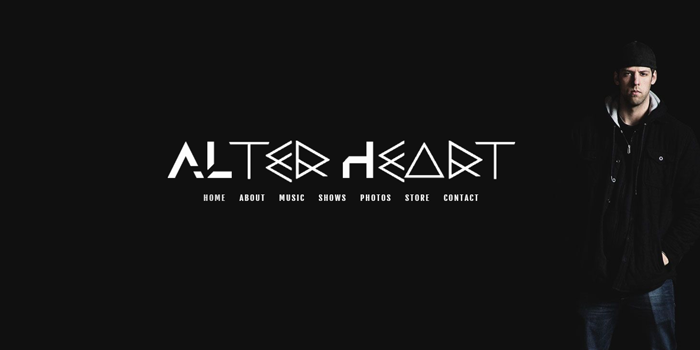 To back up that I know a bit on what I’m talking about, I’m a musician and I work as a freelance web designer. 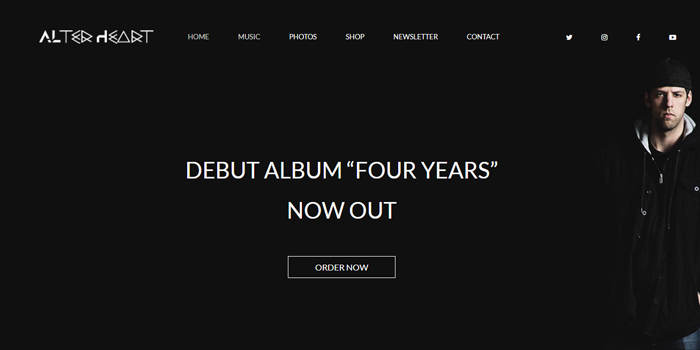 I have built websites for bands and musicians (a service that I offer here). If you want to know which platform I think is best without doing too much reading, in my opinion, I believe WordPress is the best option. While it may be a bit more complex than the other two options, it’s really not that hard to learn and by going with a WordPress built website, you’ll have more control over the design, functionality, and you’ll even save money in the long run. I wrote up a huge guide to building a band website using WordPress that covers everything step-by-step. So if you’re a first time WordPress user, you can follow along with the guide to setup your site. If you do go the WordPress route, you will need web hosting. This is what holds your website’s files. 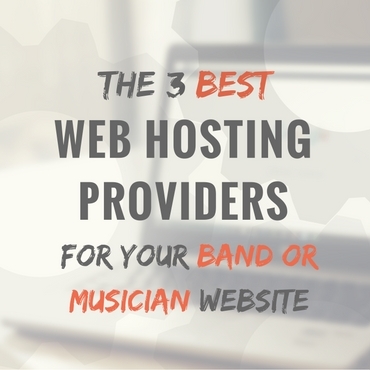 There are many web hosting providers but my recommendation would be A2 Hosting. They’re a U.S. based company, have solid U.S. support (which can be rare with hosting companies), and affordable pricing. Their lowest tiered plan (which would be fine for any startup band) starts at about $4/month (by the way, WordPress itself is free). 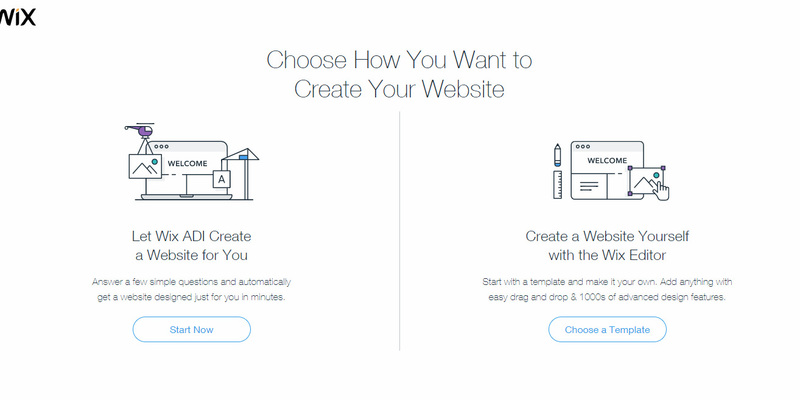 Now, with all that out of the way, let’s take a look at the differences between the three options by comparing the main things you should consider when choosing a “website builder: pricing, ease of use, and customization. Wix can be used for free. 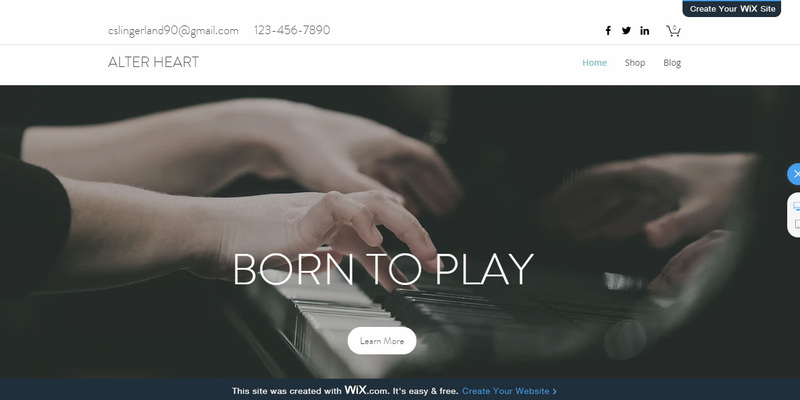 You can create a website for free and Wix will host it on their own domain. The problem with this is you won’t have your own domain name (for example, www.yourbandname.com). For one, this looks unprofessional. In addition, it’s tough to direct someone to a website like this it’s too difficult to say and for someone to remember. To use your own domain, you’d have to purchase a paid plan from Wix. The first paid plan starts at $4/month. This would allow you to connect your domain but you’d still have to purchase it separately (it’s not included) and you would have Wix ads displayed on your site. For most people, this will be a no go. 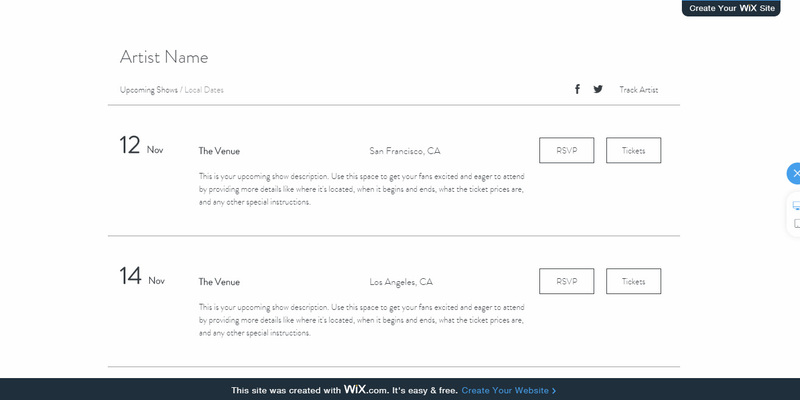 To remove the Wix ads, you’d have to go up to the next paid plan at $10.42/month. Bandzoogle’s pricing starts at $8.29/month if you pay for the year in total upfront. Otherwise, it’s $9.95/month. This plan will include your domain name and web hosting. However, there will be a limit on the number of pages you can create, songs you can add, and photos you can add. With this plan, you are limited to 10 pages. For most bands, that will be fine. But, you can only add 10 songs and 100 photos. That could be an area of concern for bands or musicians with a lot of songs or photos from events. Thus, you would need to upgrade your plan if you want the ability to add more songs or photos. The next plan up is $12.49/month allowing for 20 pages, 50 songs, and 500 photos. Bandzoogle also includes email marketing features that allow you to collect email addresses on your site. The first plan allows up to 100 emails to be added and the second plan allows up to 1000. To me, this isn’t a big draw since there are many email marketing platforms that you can use for free to get started. For instance, MailChimp. MailChimp is free to use and you can collect up to 2,000 emails before you need to purchase a paid plan. 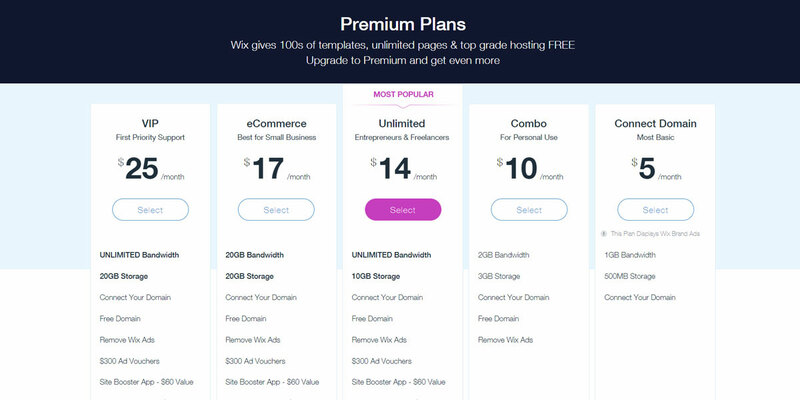 Both Wix and Bandzoogle have tiered pricing models that require you to purchase higher plans for added features/functionality. WordPress, however, is free. WordPress is a system that enables you to build and manage your website. To use it, you would install WordPress on your web hosting package. Most web hosting providers have a 1-click install for this purpose to make it easy. This does mean you need to purchase your domain name (your website name) and web hosting separately. In the case of Wix and Bandzoogle, these are simply included in the paid plan if noted. This does give you plenty of options, though, since there are a ton of different hosting providers. My recommendation for hosting would be A2 hosting. I wrote a whole blog post on my recommendations for hosting that you can check out here. But basically, I would say A2 Hosting is the way to go. They are the hosting company I use for all of my websites. That includes this website and it loads just fine with having 10,000 visits/month. For most bands and musicians, A2’s Lite plan at about $4/month will be fine. For purchasing a domain name, you can do so with A2 at the time of purchasing your hosting plan. No matter where you purchase your domain name, it’s going to be roughly $15/year. In total, that puts using WordPress at $63/year. 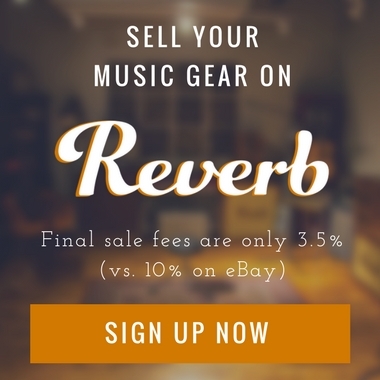 Bandzoogle on its lowest plan would be just under $100. Wix with their second lowest plan (I’m not using the lowest plan since it still includes ads on your site) would be $125. I wanted to first see how simple each option was to use. But, I also wanted to see how well they would look and how much customization was allowed. First, on ease of use, I’d have to say Bandzoogle is the winner here. When building a website with Bandzoogle, first you start out by picking a theme from a pretty large range of options. 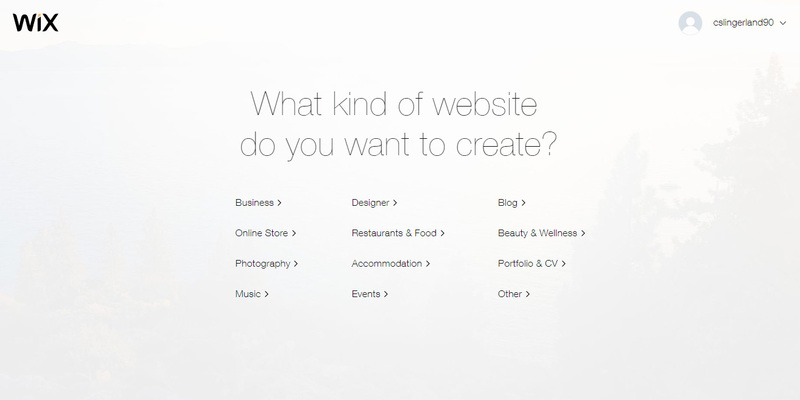 Then, the builder walks you through the process of creating your site. After about an hour, here’s the site I put together with Bandzoogle. 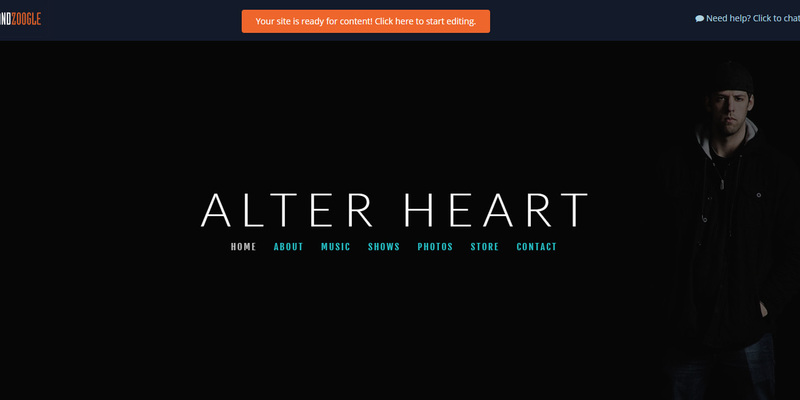 It’s not a complex as my site built on WordPress but it is workable as a band or musician website. Moving on, I did find the editor to be a bit sluggish but nothing too unbearable. Overall, Bandzoogle was very simple to use. However, while the level of customization will probably be enough for most bands, it’s still not anywhere near what you can do with WordPress (the same goes for Wix). 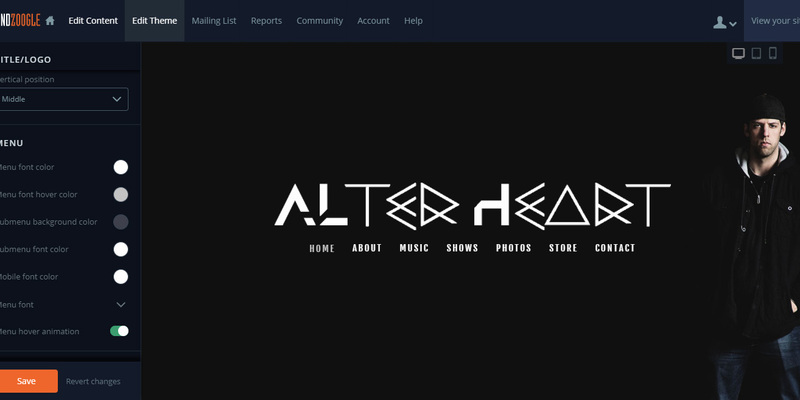 Take a look through the slider below for screenshots of my setup on Bandzoogle. One thing I did like is that Bandzoogle makes it easy to add a photo gallery, music player, etc. 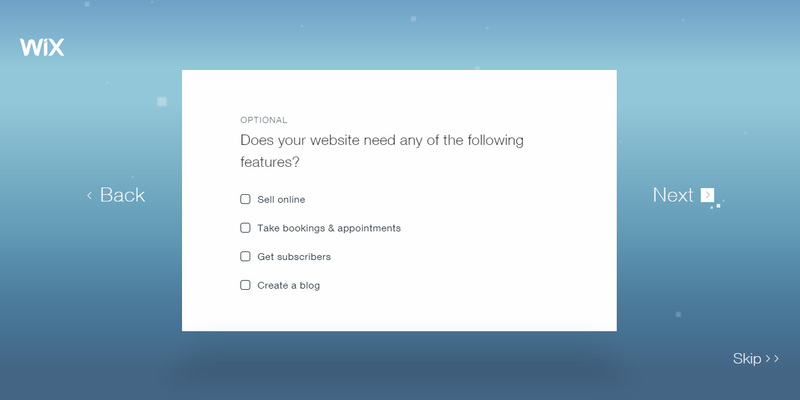 by selecting from a list of features to add. Then, you can drag them into place. After about an hour, here’s how far I got the site built using Wix. 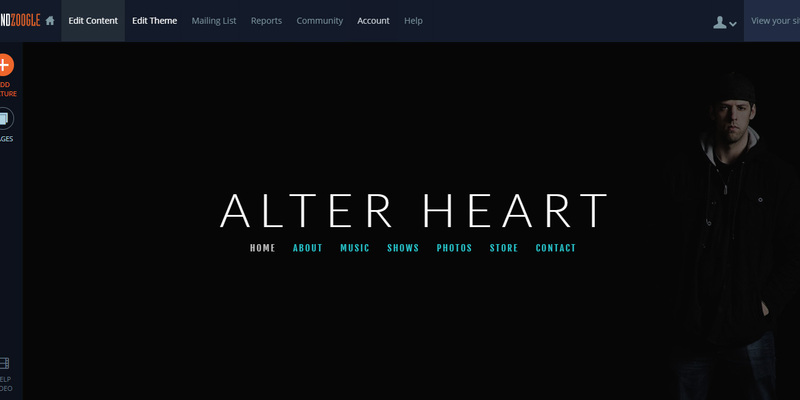 Again, it’s not perfect and not as polished as the site built with WordPress but it does look fairly similar. After only about an hour of work, it’s not too bad. Of course, it needs to be customized further with my own content versus the dummy content from Wix. You’ll also notice that there is a Wix ad at that stays fixed to the bottom and top of the page. These are the ads that I referred to earlier in the section on pricing. You’ll need to purchase at least their $10.42/month plan to remove these ads. 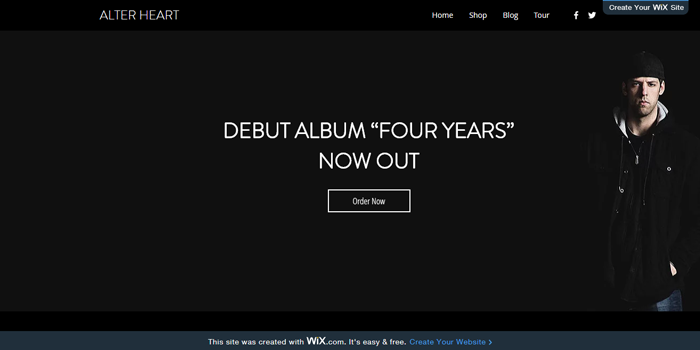 Overall, Wix does a fairly good job of setting up the site on its own. 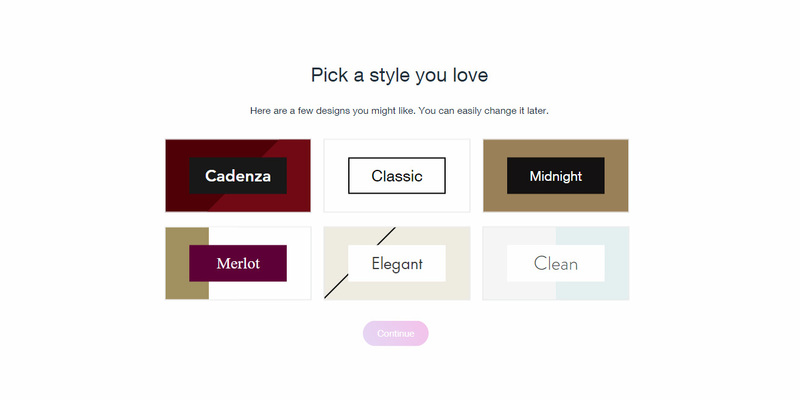 From there, you can customize the site using the drag-and-drop builder and change the site’s colors, fonts, etc. The builder was a bit sluggish/slow at times. It even timed out a few times causing me to have to refresh the page. WordPress would be the most difficult to use the bunch. But, it’s really not that hard to use. It’s just more complex. What’s great about WordPress is that there are a ton of themes (both free and paid) to choose from. The ease of use largely depends on the theme. 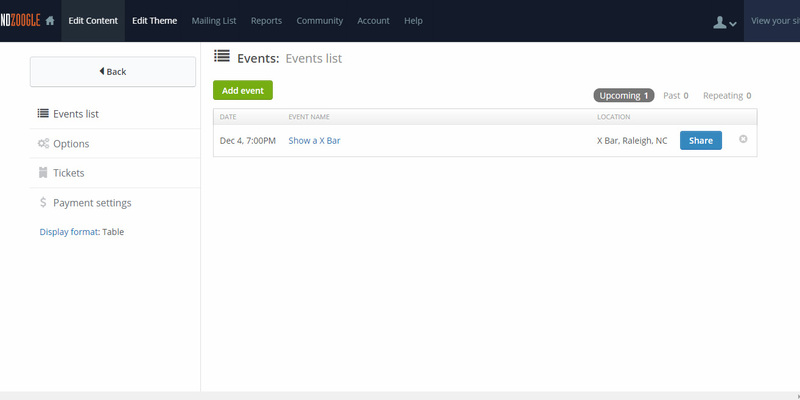 Some themes will be significantly easier to use. Especially when they include a drag-and-drop page builder. Many of the premium themes do include this feature, and in my guide here, I recommend a few that you can use to make creating your website much easier. When it comes to customization and the flexibility to add pretty much any added functionality to your site, WordPress is the hands down winner here. There’s just no contest. While you can change the colors, theme, and layout of your site using Wix or Bandzoogle, you can do so much more with WordPress. You can build any layout and look that you want, you’re not confined to a set number of options. 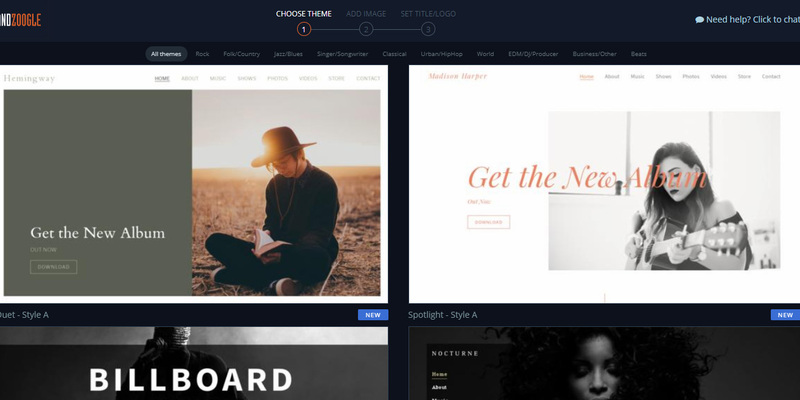 There are thousands of themes to choose from and each theme usually has a bunch of different pre-built layouts you can use to make creating the site easy. Additionally, if you want to add functionality to your website, you don’t need to pay for an upgraded plan like you would with Bandzoogle or Wix. There are a ton of free plugins you can download to add extra features to your site like a music player, an events calendar, an Instagram gallery etc. You can even add functionality that Bandzoogle and Wix simply don’t have. Want to add a social feed to your website that grabs your Instagram, Facebook, and Twitter posts and displays them on your website? You can do that with a free WordPress plugin. Want to set up a store on your site? You can do that with a free plugin. Almost anything you can think of, you can add it to your site via a plugin that someone has already developed. All you have to do is install it and set it up. The contest isn;t even close, if you want to create a fully customized website that’s truly unique, then WordPress is your best bet. 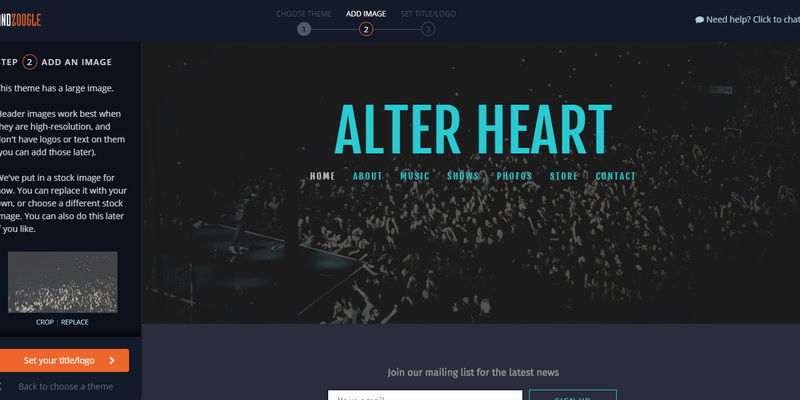 Conclusion: Which Website Builder Should You Choose for Your Band Website? If you’re serious about your music career and about your website, then to me the choice is clear, the best option is WordPress. Even if you purchase a premium WordPress theme at $60 (which you can often find solid free themes), it doesn’t put WordPress at that much higher of a cost in comparison to the other two options. Yet, you’ll have a lot more customization options. If you extrapolate the cost of each option year-over-year, WordPress becomes even more cost-effective. This is a huge thing to consider as a musician who is serious about their career. Making money as a musician isn’t easy. You need to keep your costs as low as possible. In addition, WordPress is much more powerful. You have the ability to build any layout you want and add just about any functionality you want via free and paid plugins. Overall, with WordPress, you’ll save more in the long run and have the ability to create a completely custom site. 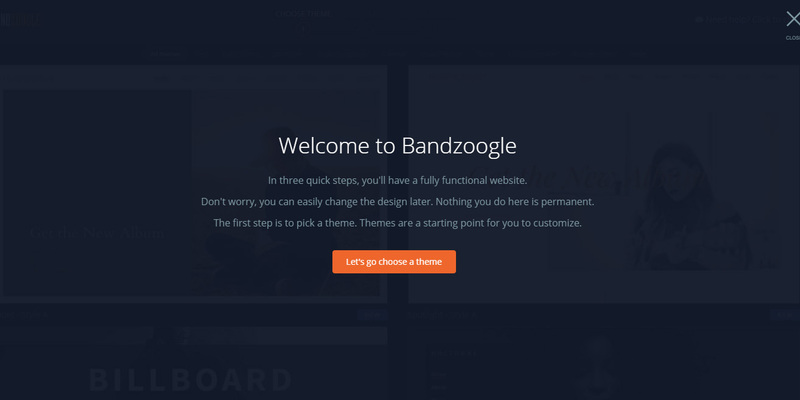 For those of you who just need a simple website, and want it up fast, then go with Bandzoogle. But for those of you who are serious about your music career, and want a website that will be suitable in the long-term, choose WordPress. 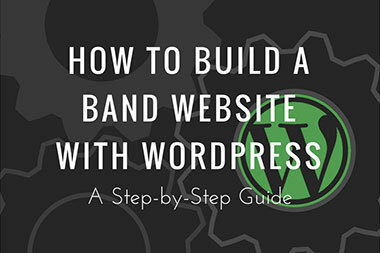 Lastly, if you’re worried about building a website with WordPress, I created this huge 14-step guide to building a band or musician website. The guide will walk you through each step of building your website with screenshots to help you follow along. Additionally, if you have any questions, you can always ask away in the comments below or in that guide. thank you for this thoughtful analysis! Very helpful. Great overview, and especially helpful considering you personally tested each in writing this! We’ve been with Bandzoogle for several years, and yes, they’re easy to use; however, thinking we are ready to graduate to Word Press soon. Will check out your guide! Thanks for the feedback Elisabeth! I’m glad to hear that you found it useful! and there may be others! I made a website with Bandzoogle. Is it just me or are they skimping on the sound? It seemed to me the sound quality of the player is lacking. Like maybe playing at smaller bitrate? Not sure that’s the right term. I listened to tracks on their demo site and heard the same problem. What’s your impression? And do you have advice? If you begin with a website built on, and hosted by Bandzoogle, can you upgrade and move over to WordPress?